The trustees of the Lili’uokalani Trust have set aside land to be used, in perpetuity, for the benefit of Native Hawaiian children so that they may enjoy an ohana-oriented camping experience. Located between Kailua-Kona town and Honokohau Harbor are two campgrounds nestled along the Keahuolu shoreline. 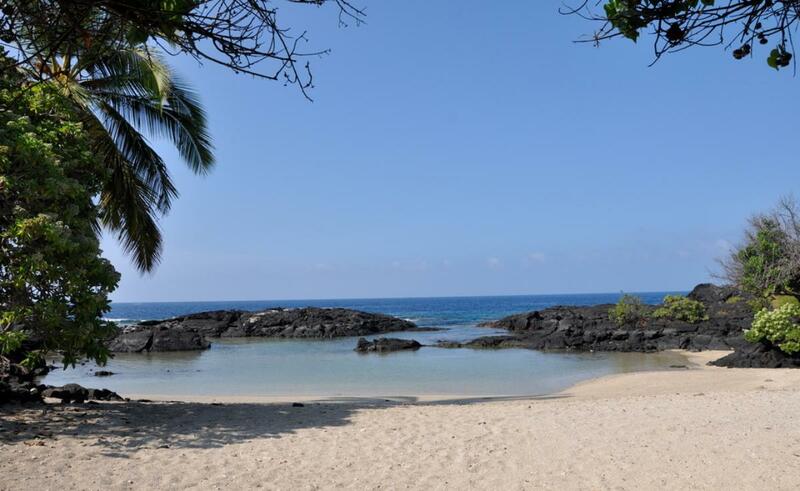 Halepa’o is a sandy beach surrounded by a grove of milo trees with a swimming area and tide pools. Hi’iakanoholae is a sandy beach to the north of Halepa’o with tide pools, blowholes, and deep ocean waters. Camping Eligibility Requirements: To register to camp at Keahuolu, your child must be a minor (17 years of age or younger) and you must have an electronic copy of your child’s birth certificate showing proof of Hawaiian ethnicity. Please check the Lili'uokalani Trust website at www.onipaa.org.